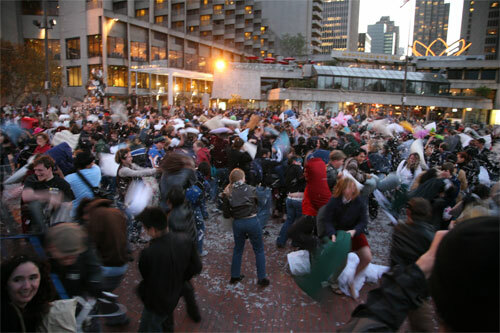 This at the valentines Day pillow fight. 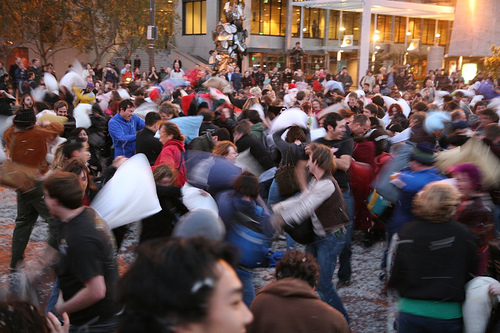 We did a flash mob, nearly a thousand people showed up a 6pm at Embarcadero and suddenly started beating the tar out of each other with our pillows. The guy that set it up and spread the word said he didn't think it would last more than a couple minutes. The croud kept swinging for 1/2 hour! We just couldn't stop. 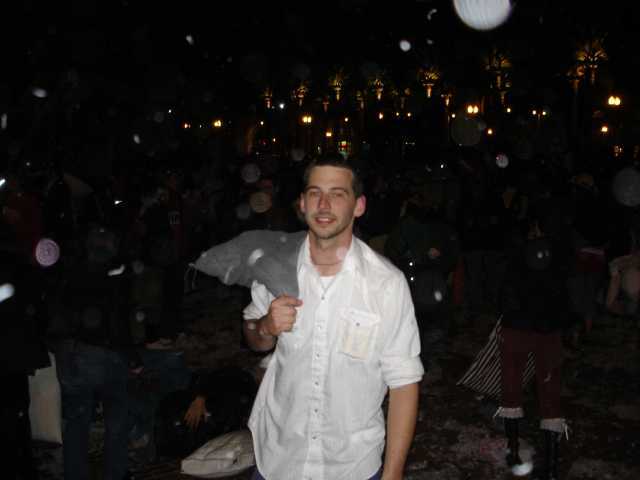 It was sooooo much fun. 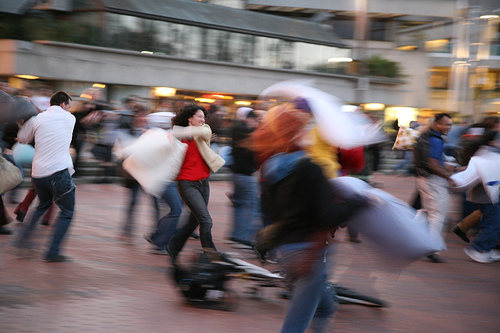 No injuries,no cops, no trouble. It was great!